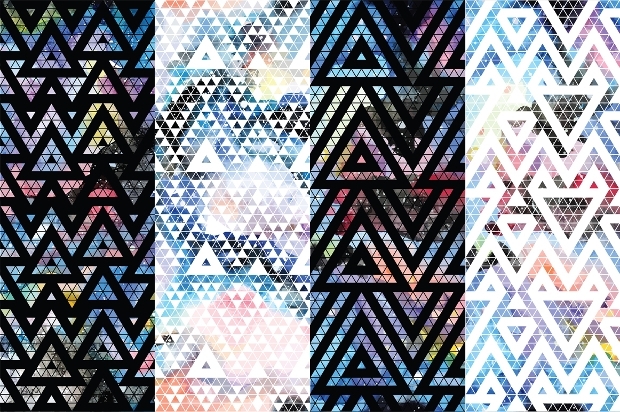 These galaxy designs use a colourful galaxy pattern as the background to black triangular geometric designs. These designs can be used for many different projects, such as posters, album covers and greeting cards to create an edgy and modern feel. 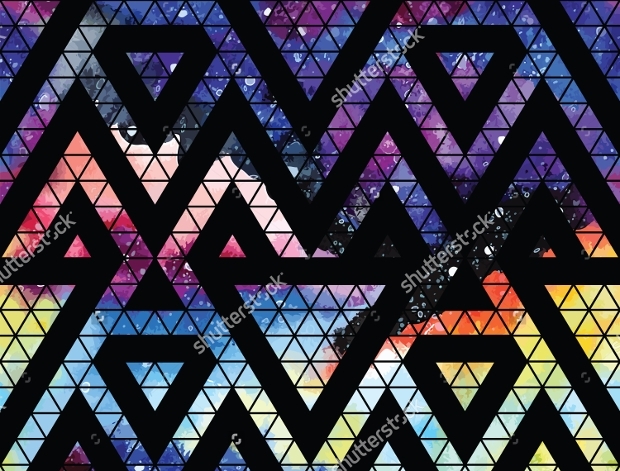 These tribal designs also use galaxy designs for the background and black triangles to create a geometric diamond and tribal designs. These designs can be used for images, posters, event invitations, and many other projects to create a fun and modern touch. 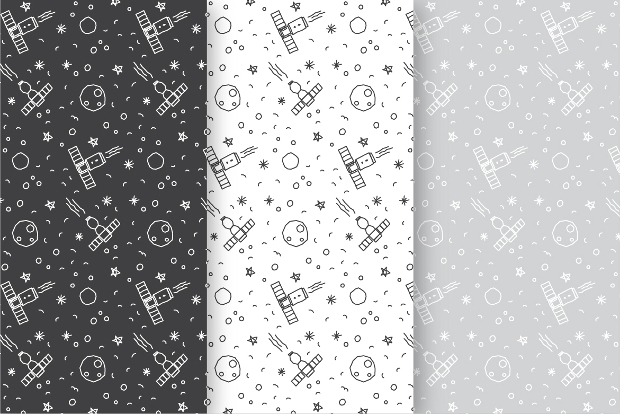 These seamless space patterns are black and white patterns of cartoon space images. 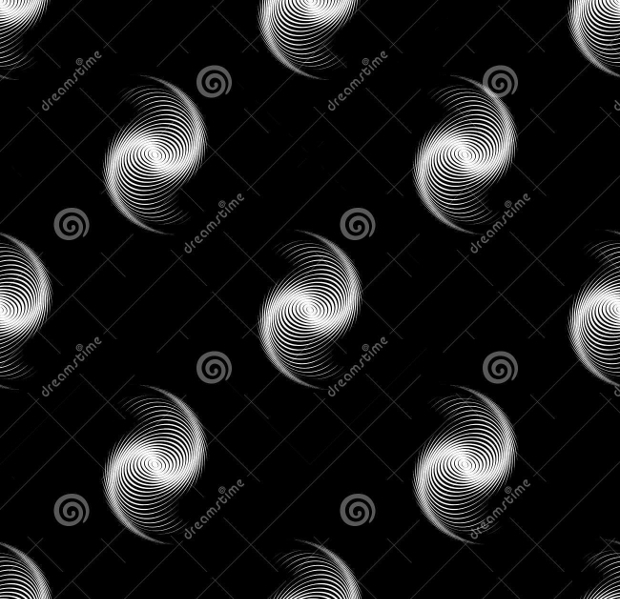 These patterns come in a black or white background with outlines of the images. 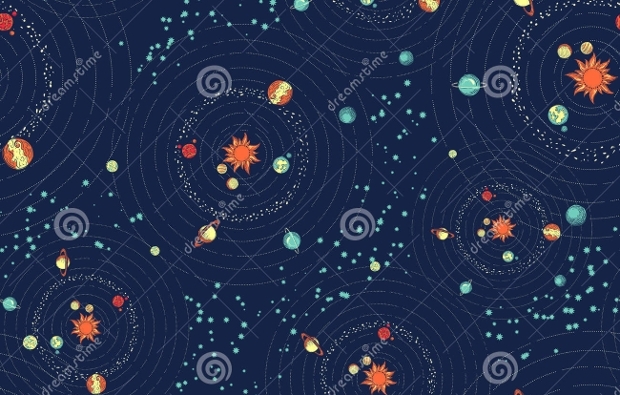 This space pattern is perfect for wrapping paper, gift cards and many other cute projects to add a playful design. 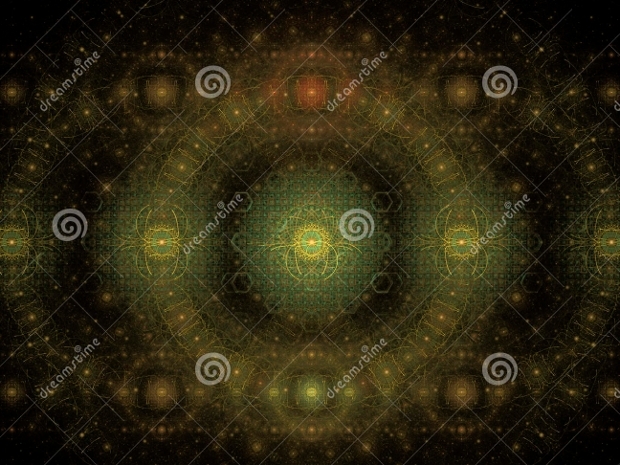 This asymmetric galaxy pattern uses many interwoven lines to create the image of a swirling galaxy. This design is perfect for a more digital and modern approach to gift cards or Photoshop projects. 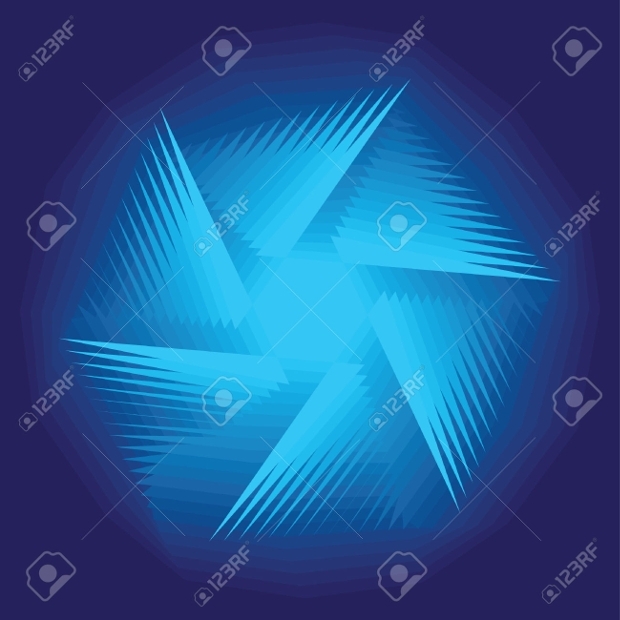 This design uses dark blues and gets lighter towards the centre to create this image. 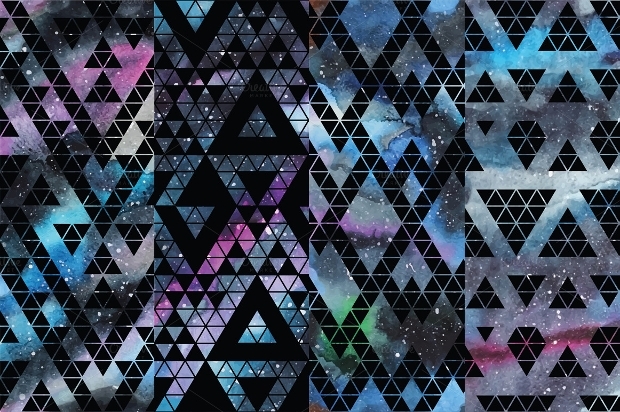 These geometric galaxy designs give you plenty of options to choose from for your next galaxy and space-themed project. 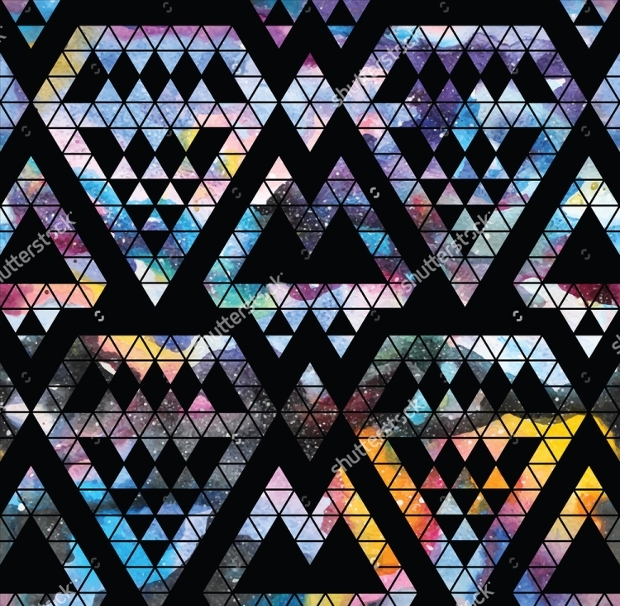 These designs use starry galaxies in blues and pinks as the background with black triangular patterns to create a stained glass effect for your Photoshop project. 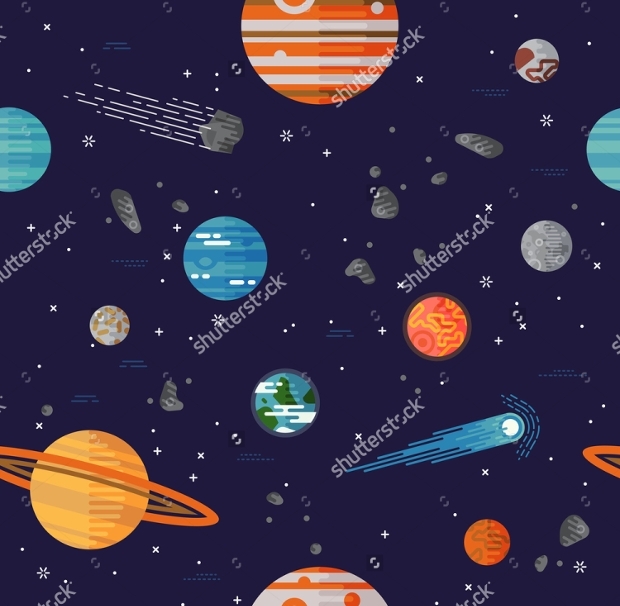 This galaxy design is a simple 2D cartoon design of the galaxy, which is perfect for projects for children or to incorporate into the design of a child’s bedroom. This design is simple but fun and playful, so it is ideal for children’s projects. These galaxy designs use large block colours such as blue, green, red, and yellow, to create these simple but fun galaxy design. 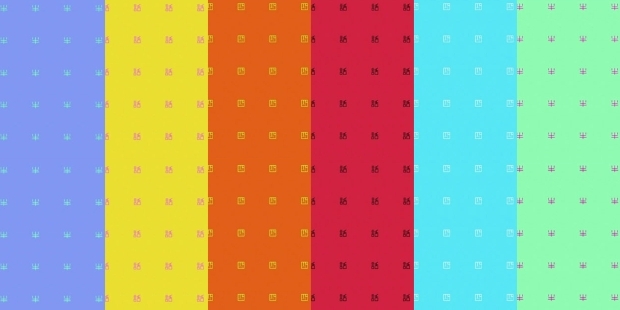 The bright colours and simple design make these patterns perfect for children’s projects. 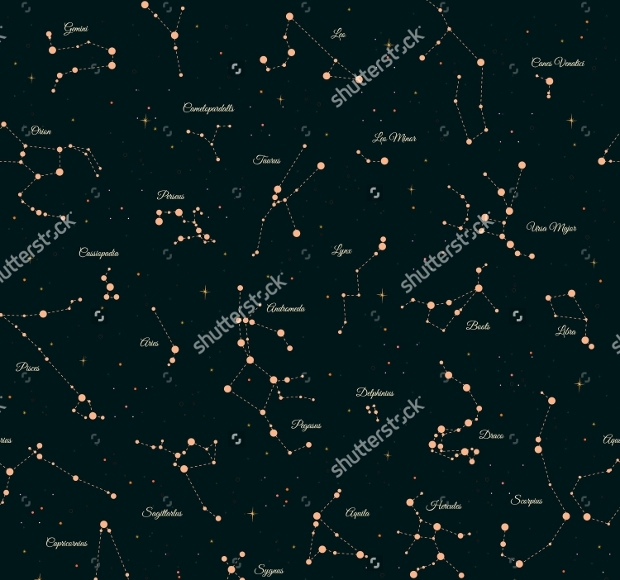 This constellation galaxy pattern uses the images of famous constellations across a black background in order to create this beautiful design. This design is a much more realistic design and can be used in digital images to produce decoration for an office or study or to use on personalised gift cards. 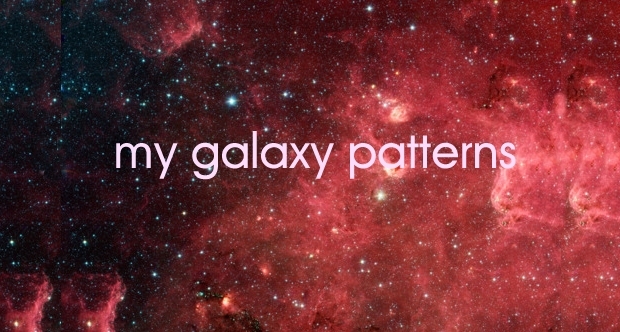 This galaxy pattern is completely free. The pattern uses black and red across the design and small stars to create a dramatic galaxy pattern. 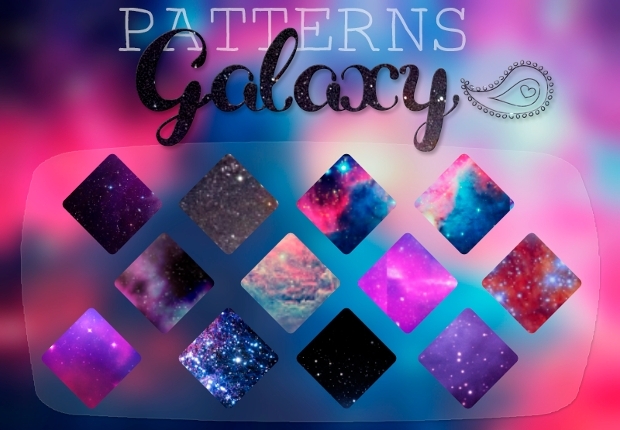 This pattern is perfect to create a dramatic and striking galaxy project for many different purposes. 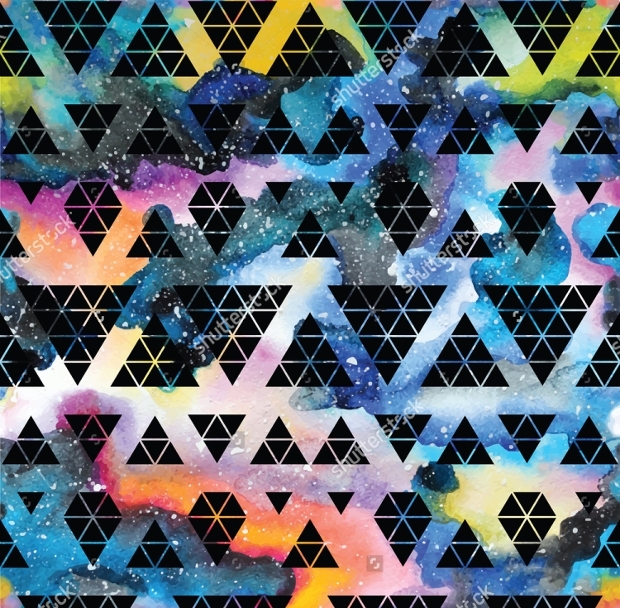 This galaxy design uses a bold and colourful galaxy background to a black triangular pattern overlaid onto it. This design is perfect for event announcements and invitations, festival posters, and many other projects to give a modern and edgy feel. 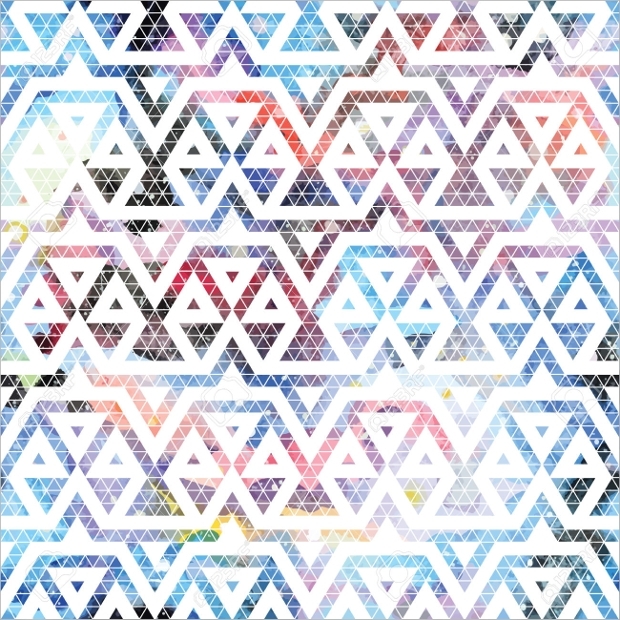 This list has some of the most varied options available, so we are confident that you will find the best space and galaxy pattern designs to finish your digital design. We hope these designs and patterns help you to create a professional finish to your space and galaxy-themed projects.